Fnatic are the favorites tonight to finally win another Worlds for the West. The final of the League of Legends World Championship starts tonight. It will be an intense West vs. East battle in a bid to take over the title from the South Koreans, who have been knocked out of the tournament. 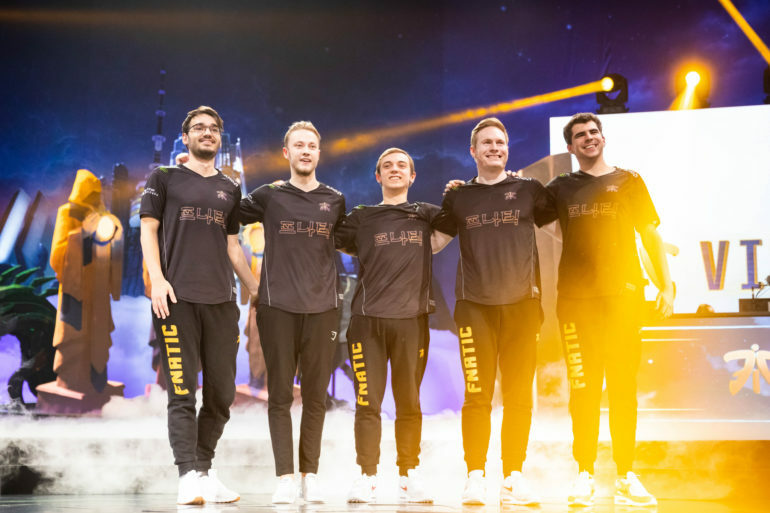 Representing the West is EU LCS team Fnatic, one of the few teams to have actually won a World Championship—but that was all the way back in season one. Now they get another shot at glory, All they have to do is down a familiar Worlds rival, Invictus Gaming. Many analysts are calling Fnatic the favorites in this match of near-equals. 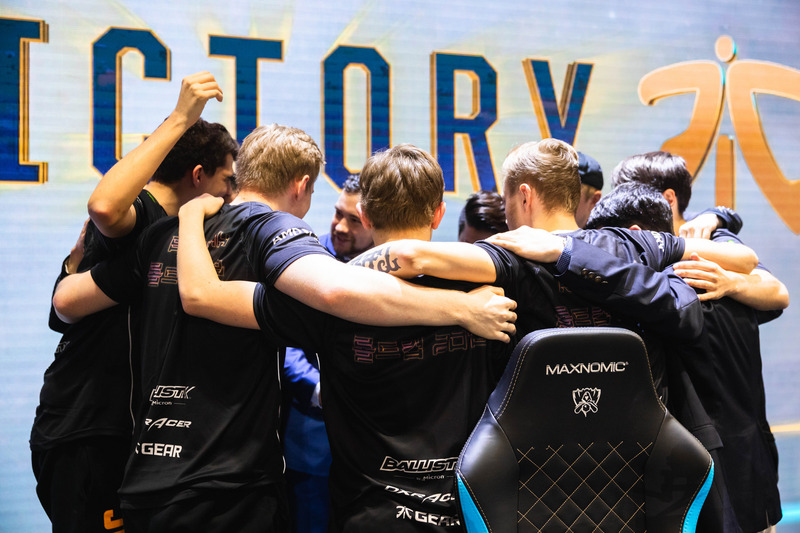 We broke down five reasons why all of Europe will be celebrating their victory tonight, and it all starts with the late game. Every year at Worlds, we get to see the professional meta evolve as teams learn from their opponents and adapt to what’s working. And every year, when the Worlds final comes around, the meta takes one last turn. Under the brightest lights and highest-pressure scenarios, teams tend to default to a playstyle that focuses on late-game, five-vs-five teamfights. It’s easy to understand why. Nobody wants to be the single guy to throw a championship split-pushing in a side lane. And no team wants to give up a major objective like Baron when they’re not grouped together. When the tanks come out and the ADCs become the stars of the show, Fnatic should have the edge against IG. They have the more consistent marksman in Martin “Rekkles” Larsson. Their vision and objective control tends to be just a slight bit better. And we can’t shake the memories of IG throwing late-game teamfights against RNG in the LPL playoffs. Rekkles really is the major reason Fnatic might have an edge in teamfights. He’s gone through a tough year—he was benched for most of the Summer Split due to his inability to pick up the mage and bruiser bot lane meta. But now he’s back, and familiar carry champions like Tristana and Sivir are too. The linkage there is no coincidence. On the IG side, they have one of the most mechanically talented ADCs we’ve ever seen in Yu “JackeyLove” Wen-bo. But JackeyLove is still extremely young—he won’t turn 17 until after the tournament. And in big moments, we’ve seen JackeyLove choke, usually in those big teamfights. He did win the series vs. kt with a beautiful flash forward. But what if that turns into a suicide attempt against Fnatic? That uncertainty gives Fnatic the edge in this area. But they still have to get to late game, and that will fall on support and jungle. 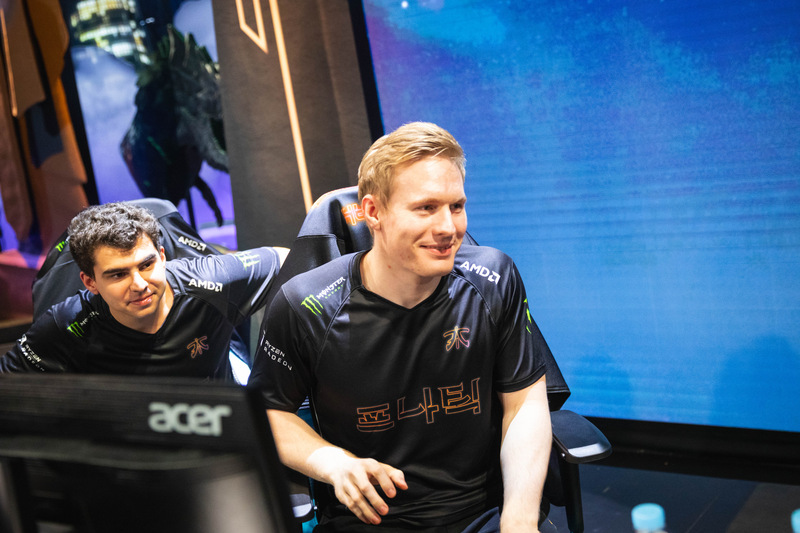 Broxah took over the title of the best jungler in Europe this year. But at Worlds, he’s clearly been the best jungler at the tournament, period. He’s an absolute menace on Lee Sin and the difference between jungler levels on that champion was the differentiating factor when Fnatic beat IG 2-1 in the group stage. Broxah will have to carry a heavy load—Fnatic could quite possibly lose all three lanes without jungler influence. But he’s been up to the task so far. If he can slow down IG—they won all three games vs. G2 in less than 30 minutes—Fnatic would be set up for success. The problem for Fnatic is that IG mid laner Song “Rookie” Eui-jin is the best player in the world and good enough to defuse two-man ganks. But that’s when Fnatic can call up a trump card: Support Zdravets “Hylissang” Galabov. Hylissang’s roams have been crucial to Fnatic’s mid lane success. And he sets up more than that. By going mid, he draws multiple enemies there, leaving Rekkles alone in the bot lane. That’s usually worked out for Rekkles in one-vs-one scenarios, allowing him to get wave and turret pressure. Hylissang has his quirks: He tends to die a lot. But overall his synergy with the other players has grown stronger throughout the year. The final thing that Fnatic have that IG don’t are two domestic championships this year. IG dominated both splits in the LPL, but couldn’t take home the hardware in the playoffs, losing two best-of-five series to RNG. We’ve seen some nerves from IG before. Even Rookie forgot to buy an item in game five vs. kt—the fact that he won lane anyway is a testament to his talent, but what if it doesn’t go that well in tonight’s final? There will be times against IG when Fnatic will fall down. IG tend to punch swift and hard. But Fnatic should be able to get up, dust themselves off, and get back to their strengths. And that’s why they should win Worlds 2018 and bring glory to the West. The series will start Saturday morning at 2:30am CT.